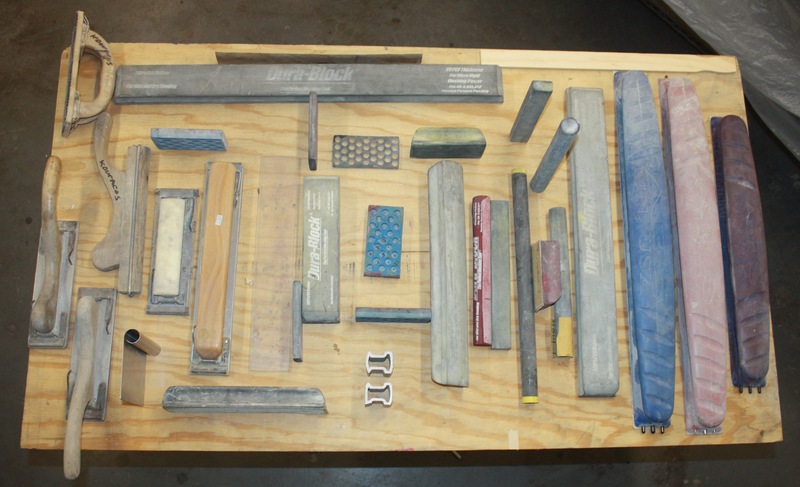 Here’s a tabletop display of some of the types of sanding block tools used in the automotive paint business. These sanding blocks are essential in correctly preparing a car’s surface for paint. 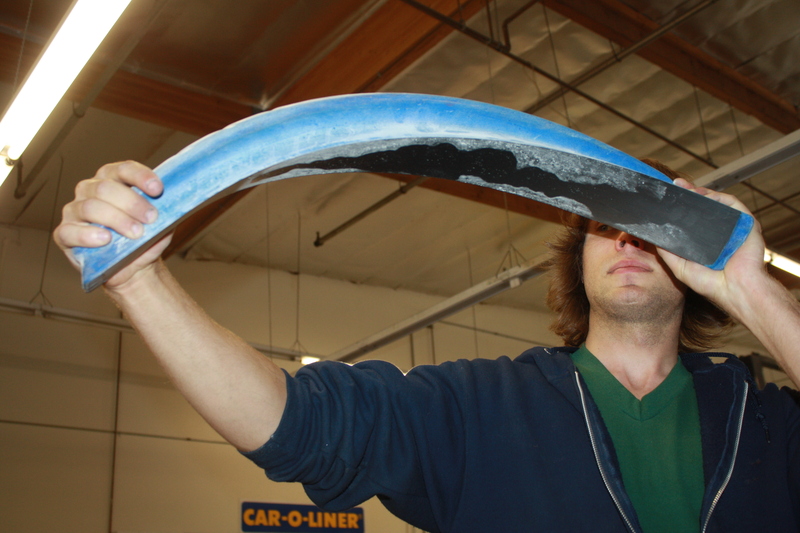 Block sanding is an indispensable — labor intensive and time consuming — portion of a good automotive paint job. This is where the majority of the labor hours are spent — in the preparation of the surface. You see, a painter first applies material to a car to build a foundation in order to create a workable surface. Some folks think block sanding is an easy technique to learn but in reality it takes years to master and requires considerable finesse to accomplish a fine automotive surface before applying the paint. What you see in the above photograph is an array of the types and sizes of sanding blocks we use. More than half the blocks are custom made out of hardwood like white maple. Hardwood is used because it doesn’t warp when it gets wet — and that’s important because a lot of the sanding we do is done… wet! Plexiglas or different thicknesses of flexible plastics and hard rubbers are also often used for materials to create blocks, while others are made from very hard dense foam that will contour to the surface of the body of the car. The longer blocks have titanium rods running through them. 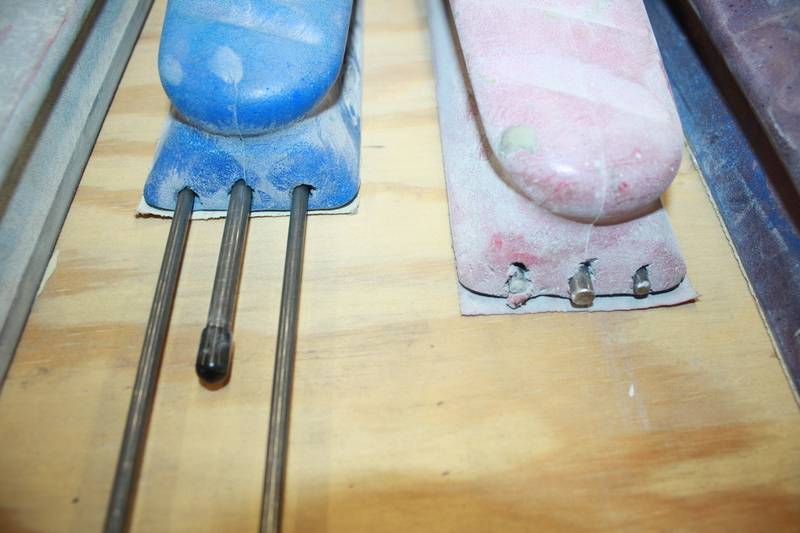 We can gauge the flexibility of the blocks — from very stiff to very flexible — by adjusting the rods in the block. 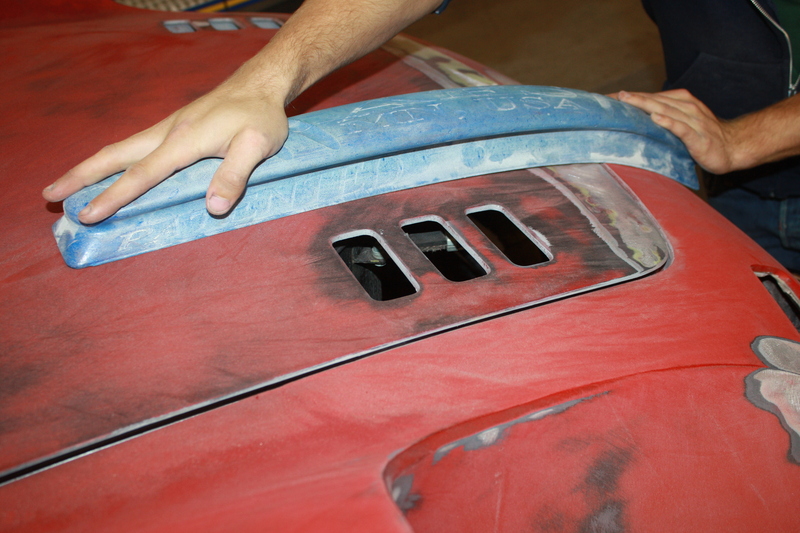 All this “flexibility” allows us to sand the material a painter applies to the exterior surface of the car so that a straight, flat and wave-free surface can be achieved when the paint is finally applied. This gives you the ultimate sweep — that is, the best in a highlighted reflection on your car’s surface.